A food seller was left heartbroken and in tears after being accused of water from mortuary to cook food at the Federal Polytechnic Oko in Anambra state. 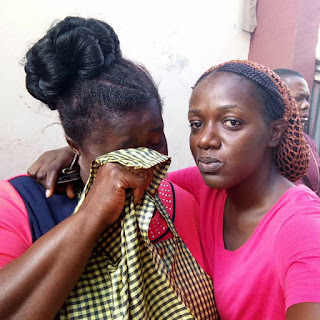 A journalist, Ngwu Victor Bright, paid the distressed woman a visit and consoled her over what he labelled a rumor to tarnish her image. This woman here is called NWANYI NANKA, every Staffs and students in Fed Poly Oko know what am saying. 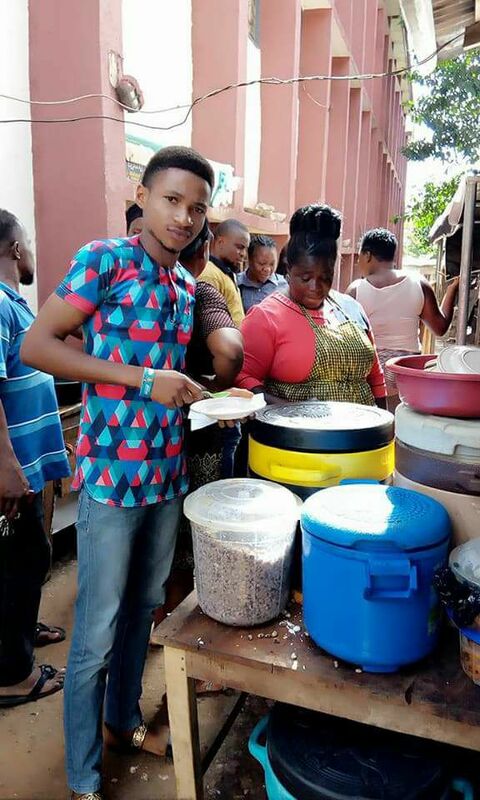 She sell foods like Rice,Beans,Plantain,Meat etc. She cooks like three coolers of rice every day but finish selling before 2 pm. WHAT MADE HER FOOD OUTSTANDING? 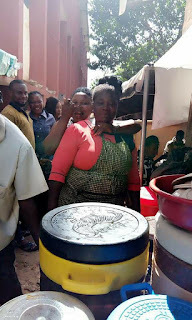 Nwanyi Nanka is a very jovial and neat woman, she serves food as mothers serves food for their children, the meat she serves is so sizeable that it can make three meats compare to other sellers. She even sells on credit to students whom she know can not afford it at that moment. These features made her very outstanding more than any other seller and these brought jealousy and envy among her co food sellers. Some lecturers can not settle down without demanding for her food including students. Just about two days ago some students were paid to tarnish her image ,they went to social media proclaiming that some group of Police invaded school and arrested Nwanyi Nanka for using water from mortuary to cook , they added that it has been confirmed fact. When i saw this on Facebook and WhatsApp, I couldn't believe it, as a certified journalist I had to wait till the next morning and I called one of my students and asked her to check if Nwanyi Nanka is at her shop, she confirmed that she was there but added she has been crying since morning because she came to sell as usual not knowing what people have done with her name ,students gathered in ewe watching her as a thief just for her to discovered what her enemies have done with her name. I spoke with her and consoled her also but why on earth will someone be so wicked to tarnish someones hard earned reputation.. This world is so cruel and some students including some mass com students who are supposed to verify the rumors couldn't wait for verification instead they started broadcasting and feeding people with fallacy . This in journalism is called defamation and a very punishable offence. PLEASE DON'T ALWAYS JUMP INTO CONCLUSION, ALWAYS VERIFY EVERY INFORMATION. THANKS.